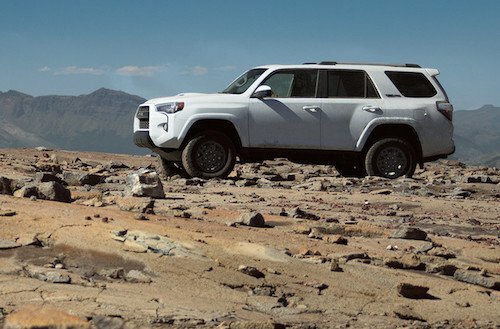 The Toyota 4Runner is one of the most versatile vehicles on the road. We have a wide selection of new and used Toyota 4Runners near Laconia, New Hampshire. Available in four different model styles the SR5, Trail, Limited or TRD Pro model the 4Runner can accomodate just about any driving situation. Compare trim levels, vehicle details, MSRP and color options by viewing our online inventory. Special offers, factory incentives and dealer specials are frequently available to help you save money on a new or used Toyota 4Runner. Our auto finance team is available to help you find the best offer and decide if buying, leasing or financing is the best option for you. If you have any questions or if you would like to test drive a Toyota 4Runner near Laconia, NH please contact us today.